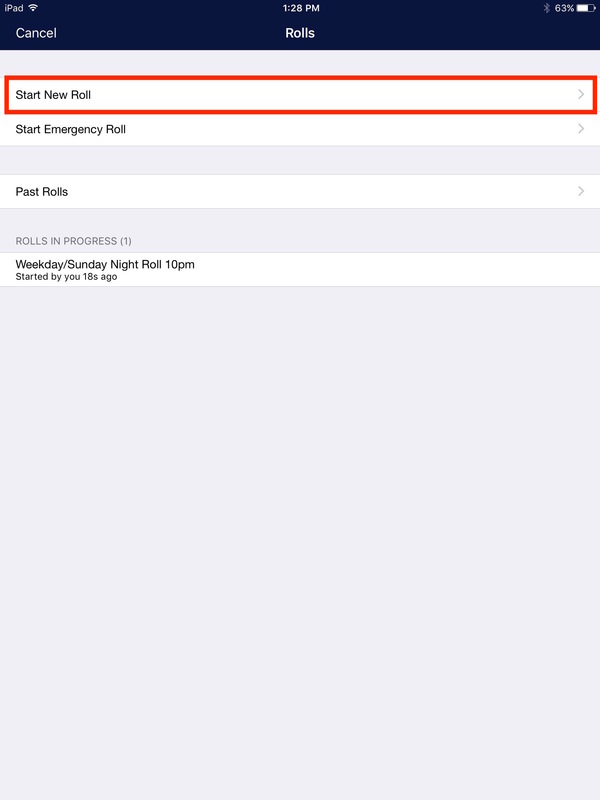 From your Home Board, click on the roll button and select roll check, then click 'Start New Roll'. 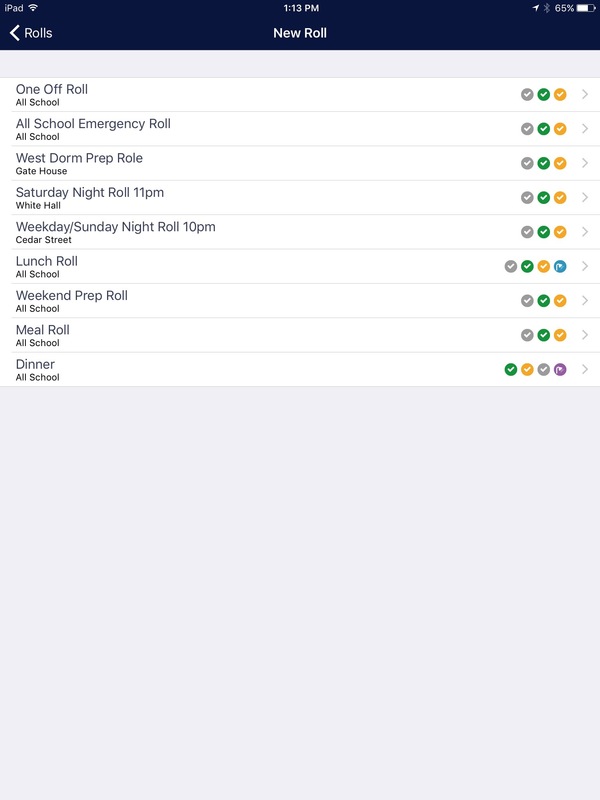 You can select a specific roll, or select to start a One Off Roll. 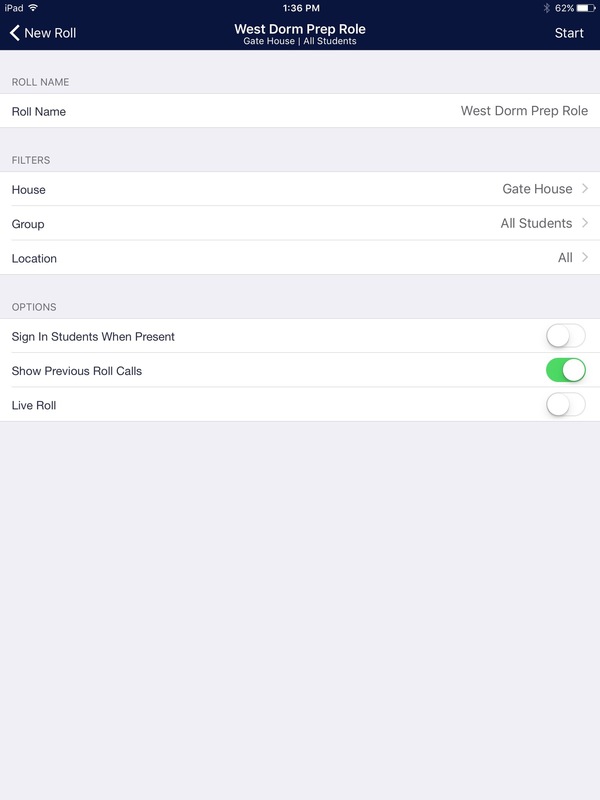 On the roll you have the option to automatically sign in students as you mark them present, and show previous roll calls to see when students were last accounted for. Wondering what 'Live Rolls' are? Click here to learn more! 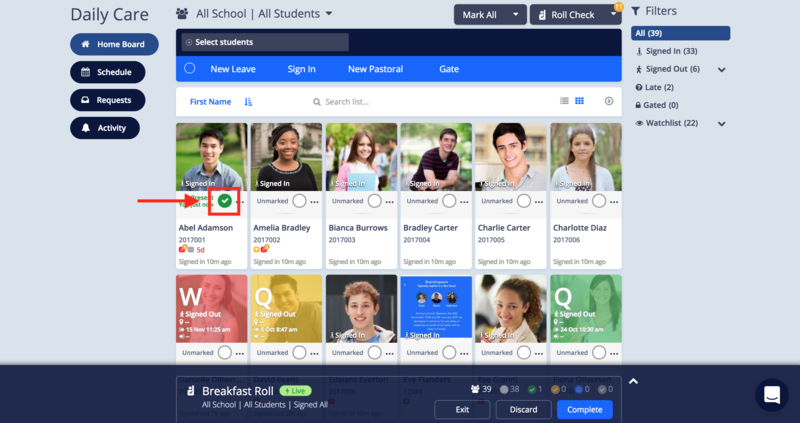 Mark students present by clicking on the open circle within their profile. Click a second and third time etc. to change between states. 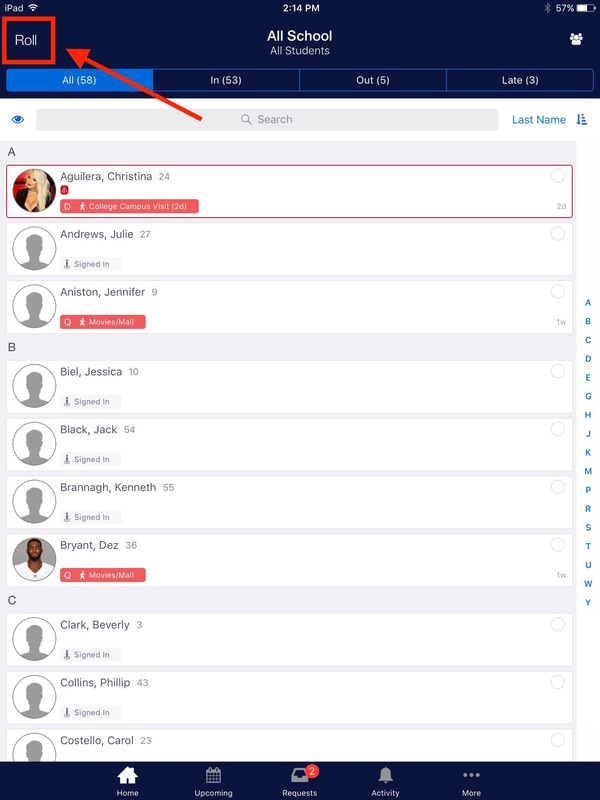 You can also choose the 'unmarked' view of the roll, mark students and see the listed sorted down to only students unaccounted for. 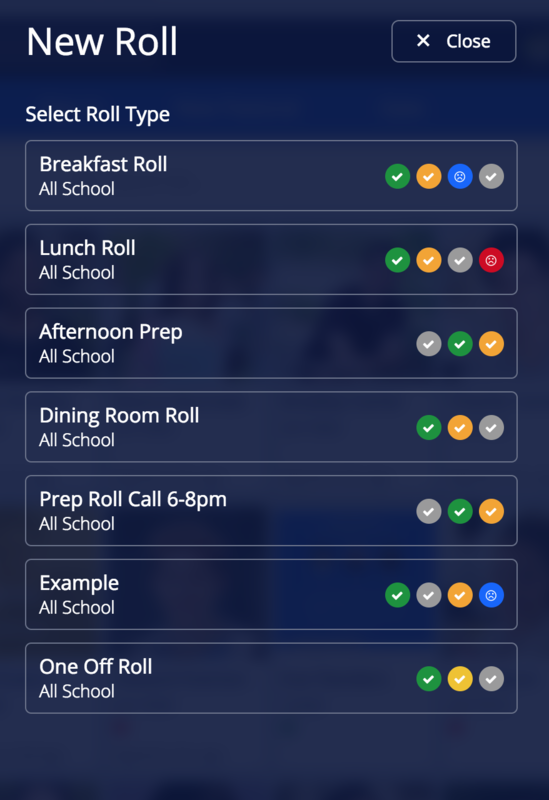 Select 'Complete' when you are finished with the roll to save it, 'Discard' the roll remove it completely with no record and 'Save & Exit' to complete the roll later. Sign students in or out. Start New Roll and choose either a 'One Off Roll' (which will ask you for the title) OR choose from your already defined roll checks below. 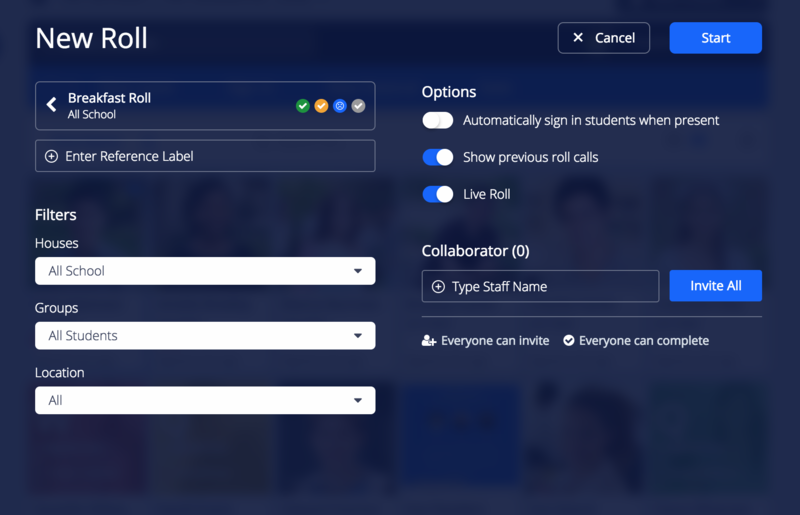 On the roll you have the option to automatically sign in students as you mark them present, show previous roll calls to see when students were last accounted for and make the roll a Live Roll. Note: 'Rolls In Progress' is related to Live Rolls. Check here for more on Live Rolls. 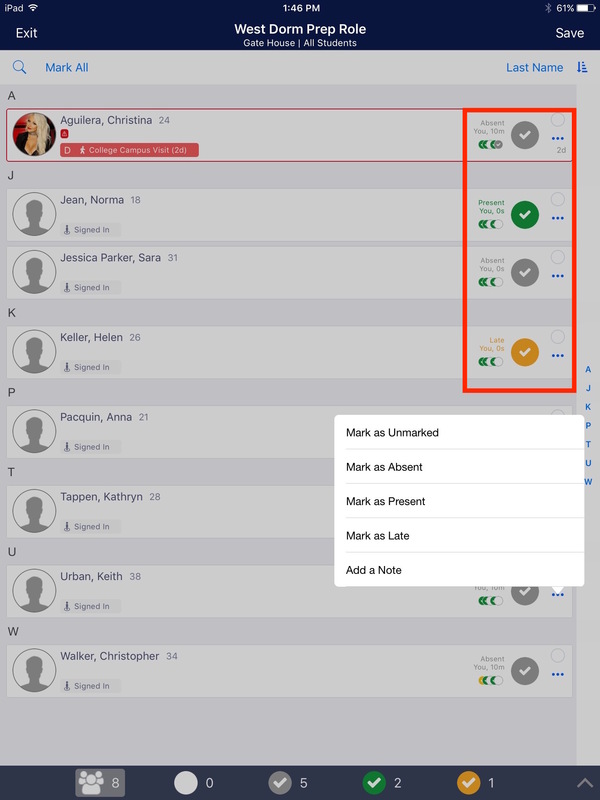 Mark students present by tapping on the open circle within their profile. Tap a second and third time etc. to change between states. The small triple-dot icon to the right will open up the ability to add notes and the small icons to the left are showing the past rolls (if that option was turned on). Once you have finished the roll tap 'Save' in the top right hand corner. 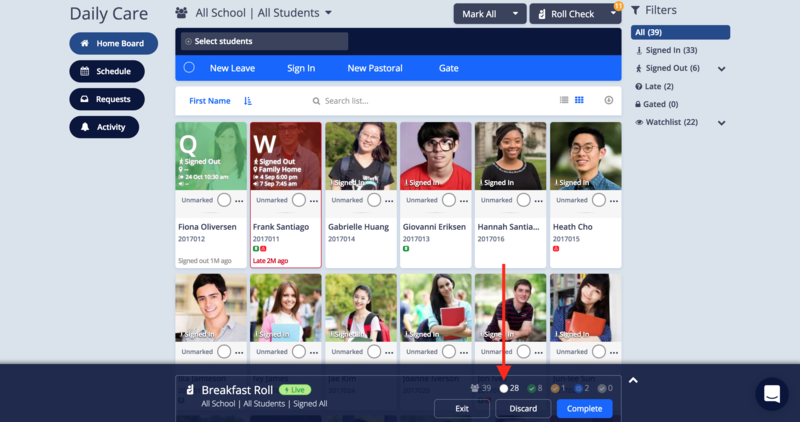 Feel free to read more about managing your Rolls within the staff section of the help pages.